Hollywood praises Al Gore for revealing what the media elite consider to be inconvenient truths. 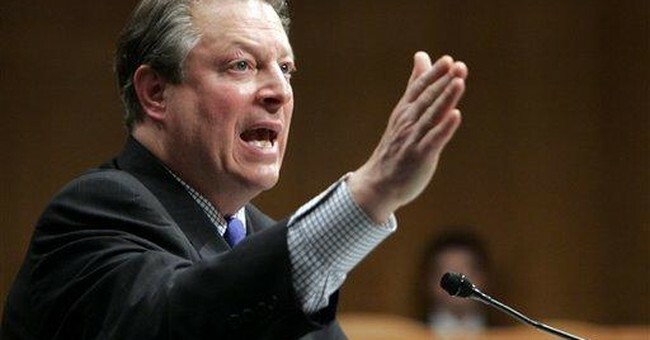 But the fact is, at some point, Mr. Gore needs to face a few inconvenient truths of his own. For instance, how could a man who once considered abortion to be arguably the taking of a human life turn around and court the favor of pro-abortion forces during his last ill-fated Presidential campaign? The inconvenient truth in that instance was that Gore was a flip-flopper who flipped to the side that fails to recognize the truth that an unborn child is a person who deserves legal protection. Among environmental activists—those who wear their allegiance to green on their sleeves—Gore has achieved superhero status. And yet his own household habits indicate he is not an energy-saver. During a global warming hearing, Senator James Inhofe (R-OK), the ranking member of the Environment and Public Works Committee, presented Gore with a “Personal Energy Ethics Pledge.” That’s the type of pledge you would think that Gore would be eager to sign onto. However, the former Vice-President refused to take the pledge. In other words, he simply could not commit to consuming no more energy than the average American household. For the record, Gore is no slouch when it comes to energy use. He’s a big-time user. It’s been reported that his electricity usage is 20 times higher than that of the average American household. Inhofe did not ask Gore to be some kind of super-saver, besting the energy savings rate of typical Americans. He simply requested that Gore be average in his energy usage. Just average. And Gore declined the opportunity. I would never use the word hypocrite lightly. After all, we’re all sinners, as far as Mother Nature is concerned. There have probably been times in my life when I myself might have failed the noble aim of the Personal Energy Ethics Pledge. However, can one really point the finger at SUV-driving, high heating bill Americans, when you yourself are using 20 times more than your fair share of energy? The truth can certainly be inconvenient—especially to a man busy casting himself as a latter-day messiah. Earth to Gore: the position’s already been filled. Thanks anyway.